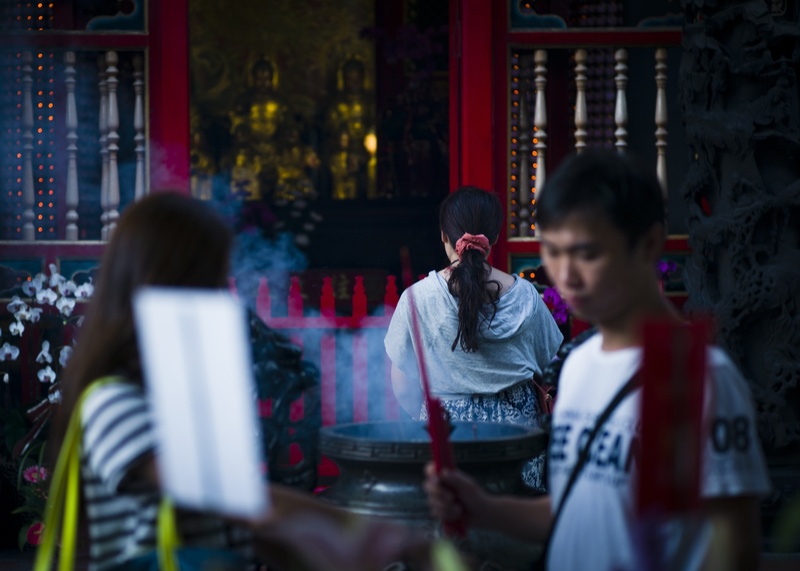 Longshan Temple in Taipei is a heady mixture of Taoism, Buddhism and Confucianism. Here, people from all walks of life visit to “bai bai” the various deities, both Buddhist and Taoist, in the hope of receiving some of their unique powers in return. For example, famous to this temple, you may “bai bai” Yue-Lao 月下老人 (the Old Man under the Moon) to gain good luck in marriage. A “bai bai” is an offering of incense with three bows. A “bai bai” is an offering of incense with three bows. Many people visit the temple to read and “bai bai” to earn a much needed boost in luck in preparation for their upcoming exams. 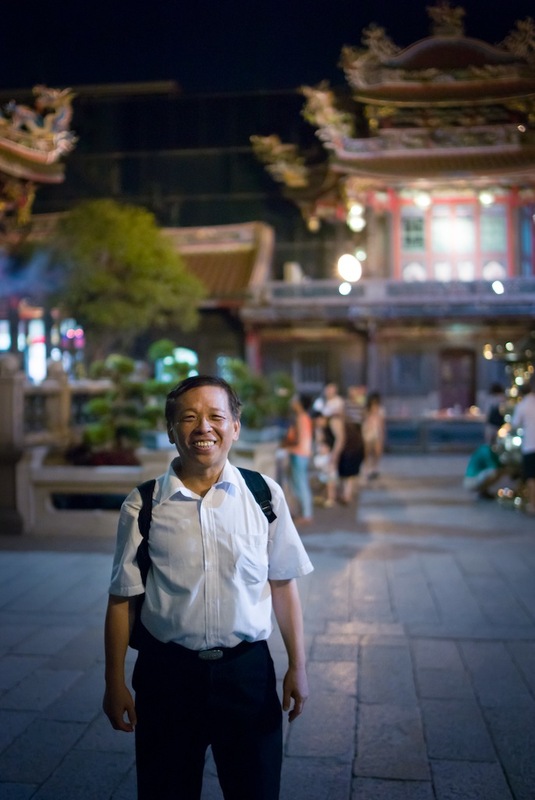 Education and testing are hugely important in Taiwan as a result of Confucius’s philosophy. 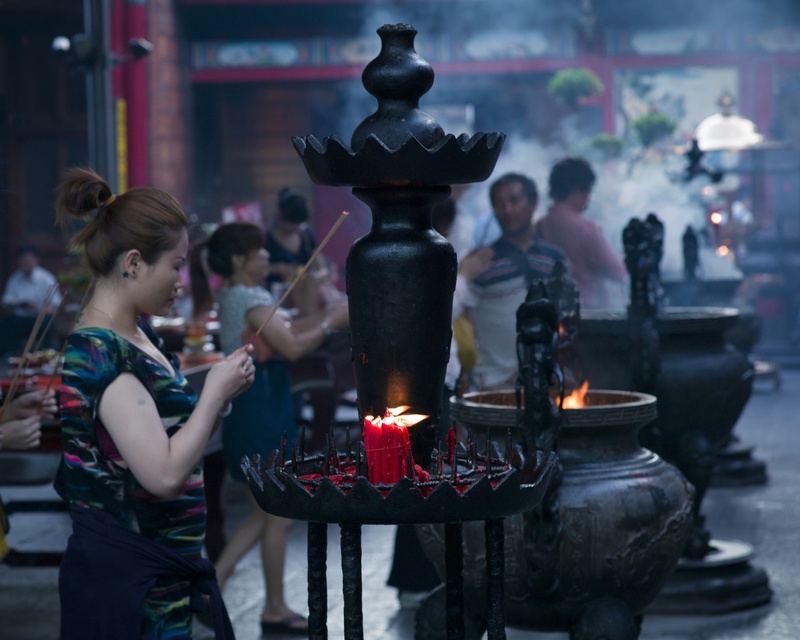 At Longshan, one can’t help but be struck by the beautiful candles that abound there, especially as evening draws in. It is said that the flame on the candles represents the light of Buddha’s teachings. It is no surprise that candles feature in a huge number of different religious ceremonies around the world, they never fail to evoke feelings of serenity and being closer to ‘god’. Big thanks to Arthur Chang (below) who’s a temple guide and I-Ching scholar, he talked me through all the different buddhas, gods and goddesses at the temple and we had a wonderful discussion about religious tolerance and how business should get its act together and ought no longer consider its intentions something other from doing good for all. Reblogged this on Explore Traveler.